Wyrley Juniors FC is again producing stick on poppies for it’s teams to wear during matches on Remembrance Sunday weekend. To matk 100 years of the ending of WW1, the Club has produced special poppies as detailed in the picture below. The club is aiming to raise £2000 towards The Poppy Appeal and has 650 poppies remaining. Wyrley make nothing from this at all but with other teams’ help will contribute to a fantastic cause. If you’d like to place an order for your team, please see their website or facebook page and someone from Wyrley will be in touch. After the weekend, the club will thank all the teams that contributed on their Facebook page and on their website. Experienced under 13s keeper looking for a new team. Played in WJYL since under 8s. Message/call 07753 531336 if interested. Thank you to everyone who attended the Mini Soccer meeting last night. For those unable to attend and those wishing to see it again here is the presentation from it. As always if you’ve any questions please contact your age secretary Paul Chamberlain. Any issues, please let the fixture secretary know ASAP. Ideally looking for a left sided midfielder but open to taking on other positions. Looking for players who have experience in playing whether it be in a school team or a Sunday league team! We have 3 spaces available. We are looking for a couple of players to join our existing team . 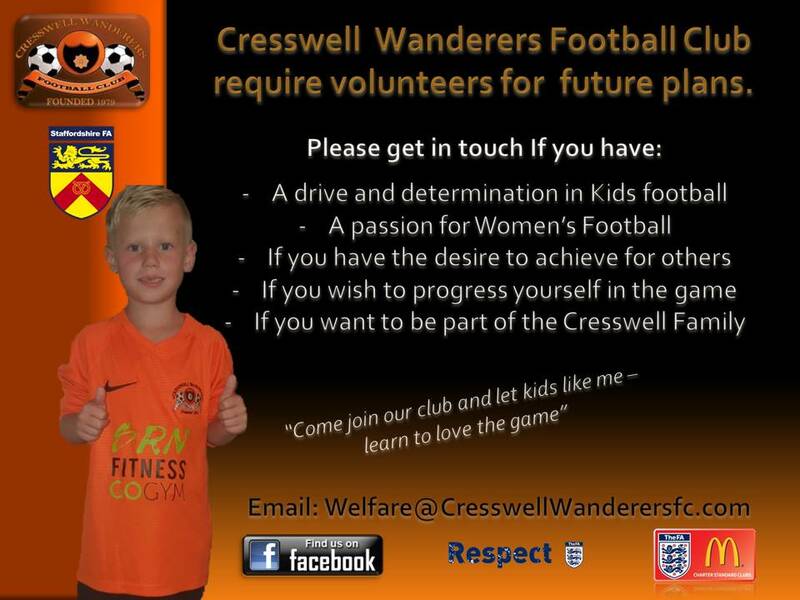 We play Sunday mornings in the Walsall junior football league and train in cannock on a Wednesday evening on 3G. Both coaches are fully FA qualified and our aim is to improve each players ability to play football and to enjoy learning while playing. Good player struggling with bad results? Team folding? If you’ve a child in year 6 who’s looking to play a better brand of football and develop with a great set of friends then get in touch. We’re still looking for one or two quality, committed players to enhance our already strong team. We train on Saturdays at Bentley West, give us a call on 07866 686597. F.C. Perton Devils are looking for 2 defenders, preferably with mini soccer experience, to join the team. We are based in Wednesfield and play on Sunday in WJYL. We are a friendly team and strive to play a passing game whilst creating a fun, safe environment.